It's a problem when you have one device running low on batteries, but it's even more difficult when you have two or three all in need of a little juice. I've run into this on road trips with my family. We've each got a gadget but the car only has two outlets so that means a spiderweb of wires and splitters. It also means we're all searching for outlets at hotel stops and then trying not to leave anything behind the next day. 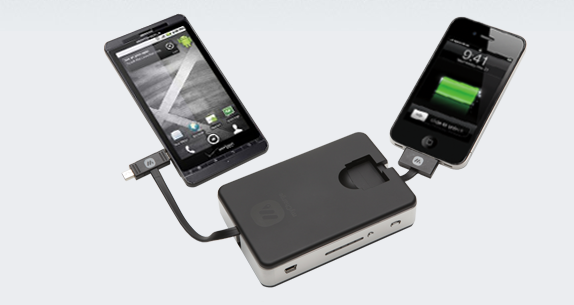 The myCharge Portable Power Bank 6000 is an easy solution to this problem.